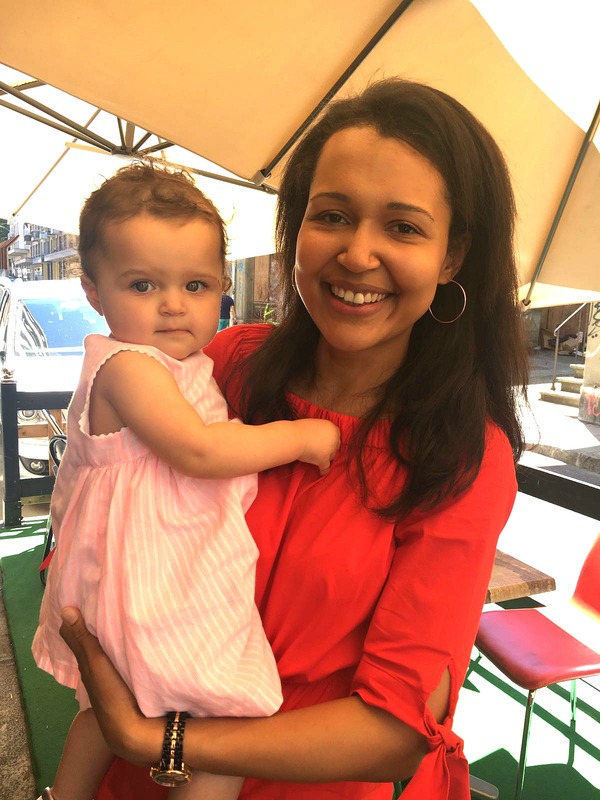 Today I would like to share with you photos from Chloe-Sofia’s first birthday party. I wore this beautiful red dress that I got in H&M few days ago. It was less than CHF50 and it looks amazing. 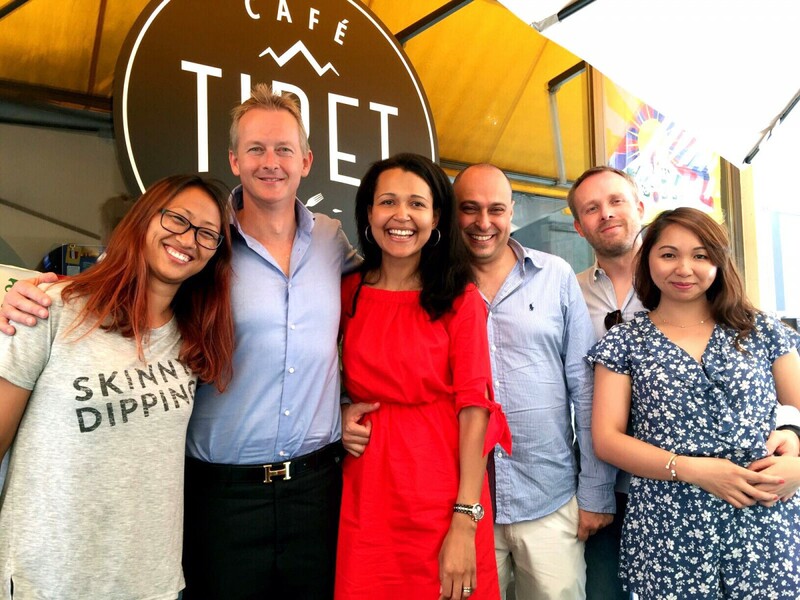 We celebrated in our friends’ restaurant The Tibet Café. Everyone loved the food, especially their “momos” ( kind of steamed dumplings with vegetarian or meat filling). Chloe-Sofia’s cake was a big success. It was mascarpone au fruit rouge with chocolate butterflies. Even Chloe-Sofia got a tiny piece. It was her first birthday party so we could not leave her out. 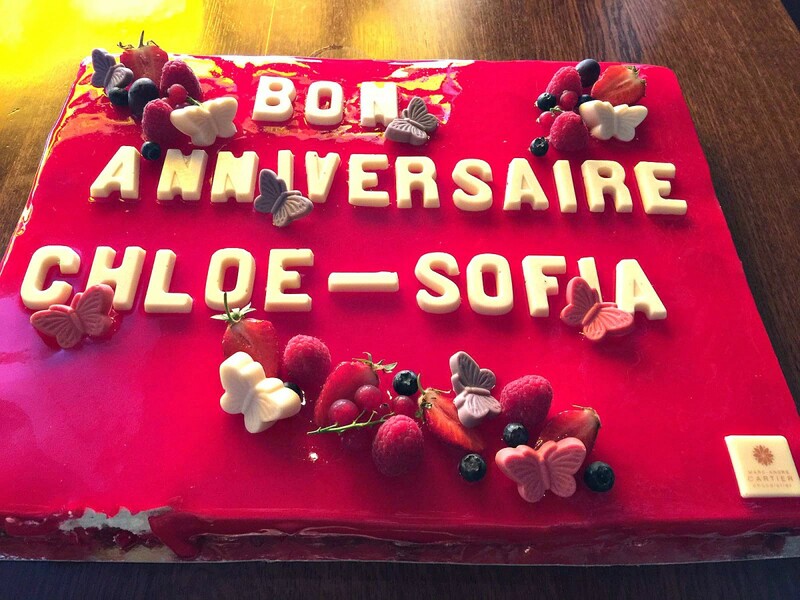 Aujourd’hui, j’aimerais partager avec vous quelques photos de la fête du premier anniversaire de Chloe-Sofia. Lors de cette célébration j’ai porté cette magnifique robe rouge reçue de H & M il y a quelques jours. Pour moins de CHF 50, elle est vraiment géniale. Nous l’avons célébré dans le café/restaurant de nos amis The Tibet Café. Tout le monde a aimé la nourriture, en particulier leurs “momos” (sorte de boulettes à la vapeur remplis des végétaux ou de viande). Le gâteau de Chloe-Sofia a été un vrai succès. C’était un mascarpone au fruit rouge avec des papillons au chocolat. Même Chloe-Sofia a eu droit à sa part. Comment nous aurions pu la laisser sans goûter son propre gâteau. aww happy birthday to her! 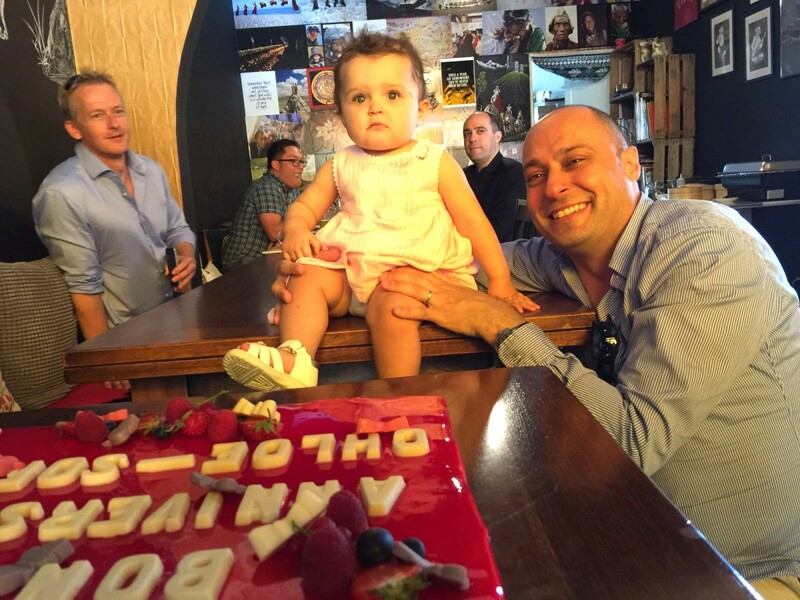 Your baby is adorable, hope she had fun on her birthday party! I like this kind of red in your dress, so bold and it matches well with the occasion. That cake looks so good too. Hope you’re having a lovely week! Looks like it was such a fun day, and I’m loving your dress! The red color is so beautiful! Awwww Chloe-Sofia is so precious and it looks like you all had a wonderful time at her birthday! That cake you served is so beautiful! I love the pictures of you in the red dress – you look stunning! Such a cute toddler…Happy birthday to her!! You look amazing in that cute red dress. So chic and fun! Looks like such a lovely event! The dress is beautiful!! Aw what an exciting time and the celebration looked so fun! That cake looks super delicious. I love your red dress as well! I love the dress on you, it’s such a bold color! This looked like such a fun day! I hope that she had a wonderful birthday! I love that dress. The colour looks amazing on you. Aww. Happy bithday to the beauty. You look gorgeous. 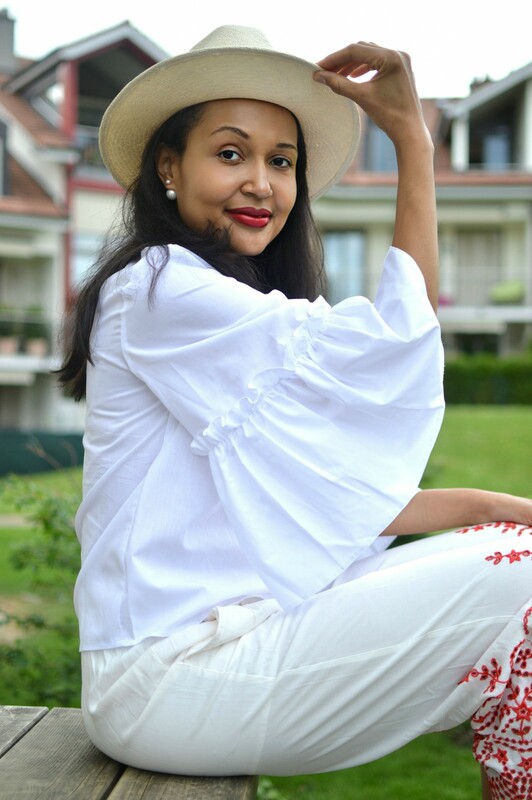 Such a lovely post and photographs dear, thanks for sharing! Aw… happy birthday to her! 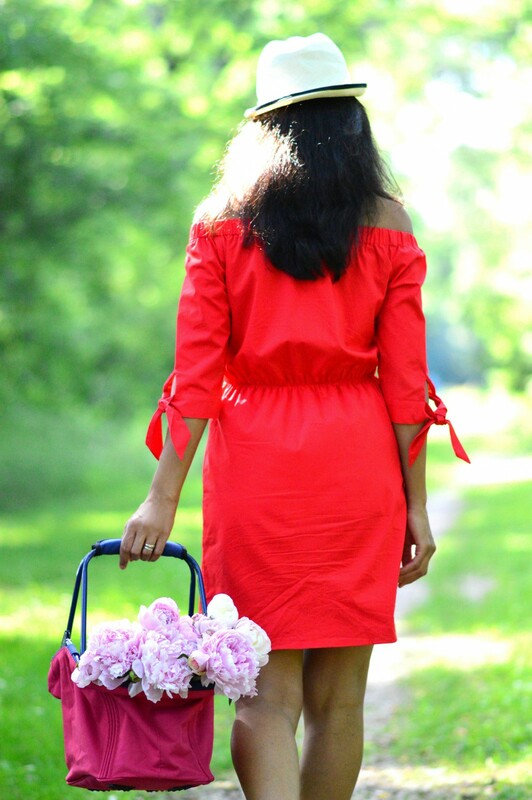 Love your red dress — so cute! Happy 1st birthday to Chloe-Sofia! She’s so adorable. Her birthday cake is beautiful. HAPPY B’DAY TO CHLOE SOFIA ! 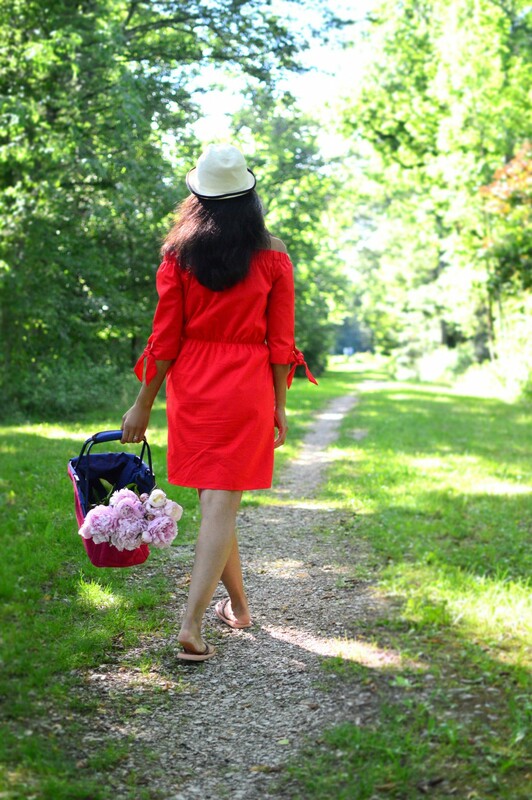 Looks like you had an amazing time and you picked out a gorgeous red dress. Suit you so well. awwww… so nice! 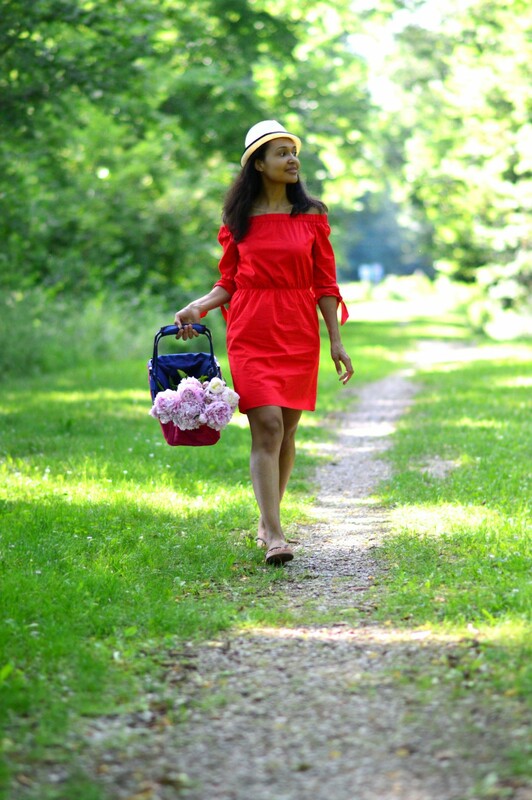 great red summer dress dear…. That cake looks delicious! I’m glad you had fun Miri! I love your red dress. Le gâteau a l’air trop bon ! Aw! Once again, I’d love to wish little miss Chloe-Sofia a VERY Happy Birthday, what a precious angel face! I love your dress, red looks so good on you, you need to wear it more often, it just pops of beautifully against your skin! It looks like her party was so much fun, the food sounds delish (I love dumplings) and the cake looks beautiful! Thanks for sharing, beauty, and I hope you have a great week ahead! I love that off shoulder dress on you! Looks like an incredible birthday! !